Spectacular events combined with the high professionalism of the entertainment team are our specialty! With its "Scoglio di Peppino", Costa Rei is considered one of the most beautiful beaches in the world and we are proud to be here! Our Chef specialises in bringing out the true flavours of the traditional local cuisine, and the Sommelier passionately tells the story of each wine: every holiday needs good taste! Saturday 19 and Sunday 20 January, we will be in St. Gallen, Switzerland for the GRENZENLOS Tourism Fair (without borders)! 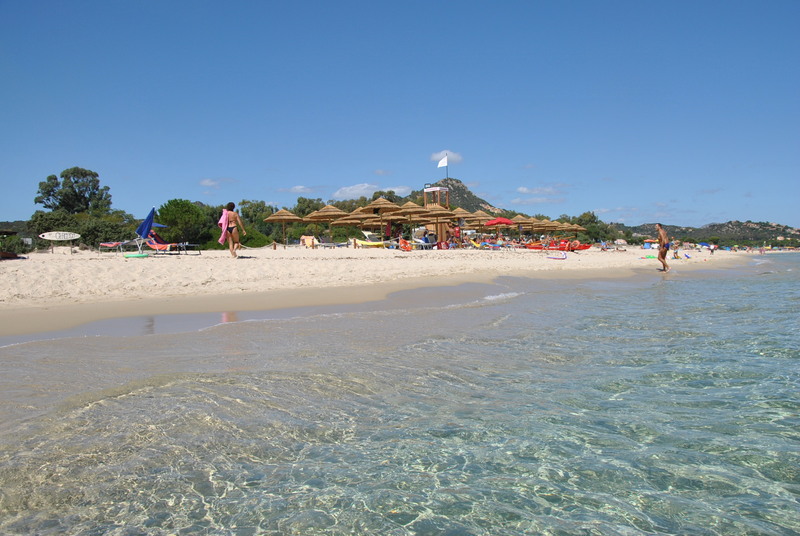 Another appointment for our friends campers who are planning their holidays in Sardinia! We will be in Hall 3 Stand 3.0.46 to represent the Capo Ferrato Campsite and to give all the information about Sardinia. We are waiting for you! CMT 2019 the Stuttgart holiday fair: we will be there! 11-13 January in Vienna for the tourism fair! We will be in Austria in Vienna for the Tourism and Leisure Fair! 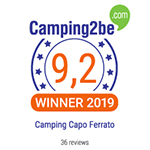 From 11 to 13 January in Stand A906 Halle A, ready to tell of our beautiful island and holidays at Camping Capo Ferrato! Wednesday, November 28 at 10:00 depart bookings for the PITCHES for the season 2019. In order to better manage all requests, every year reservations for bungalows and pitches start at different times, those for the bungalows have left on 7 November. 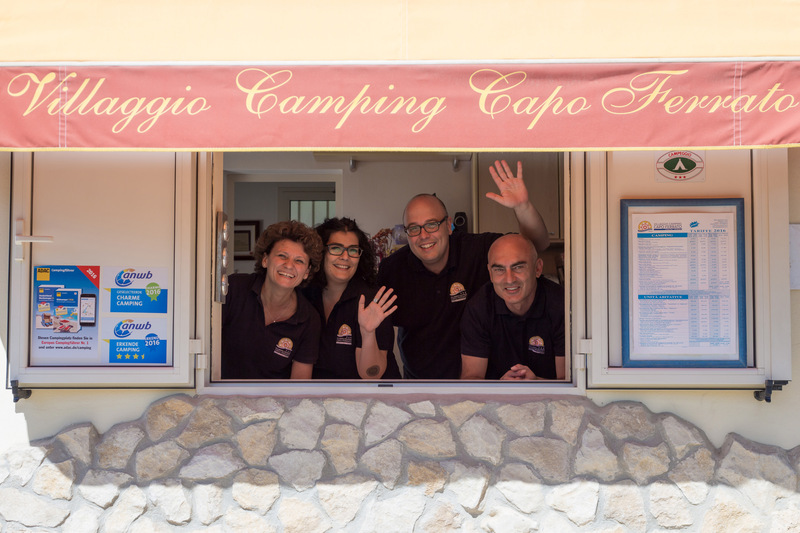 We will receive requests received via email at info@campingcapoferrato.it and on the phone at the winter address +39 070885653. ATTENTION: since Wednesday the 7th the ONLINE booking system is temporarily suspended, because it is not possible to update in real time the large amount of requests that arrive at the same time. If you have already written to us, consider that the requests received are not put on the waiting list, therefore, we ask you to contact us again from the date and the scheduled time. 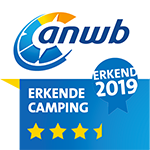 Our Camping will open on April 4th and close on November 4th, 2019. 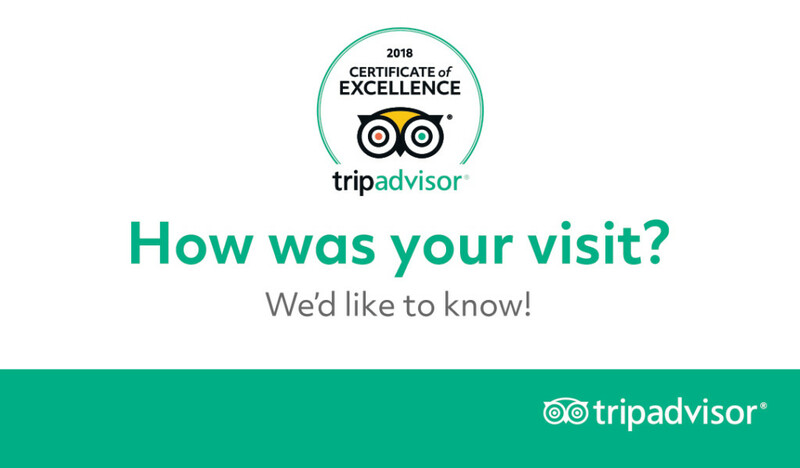 Seasonality and new rates are already online We are available for further information from Monday to Friday 10:00-12:30 / 17:00-19:00 Mario, Patrizia, Betti and daniele ready to answer! The menu of Ferragosto is ready: delicious, tasty and fresh! The menu of Ferragosto is ready! For August 15th, the summer day when families meet and celebrate together, the Camping Restaurant offers a different menu from the usual, delicious, tasty and fresh. You will be enthusiastic! Starter pieces of steamed swordfish with rocket and cherry tomatoes on chickpeas cream with cumin First Trofie with shrimps and zucchini flowers, cherry tomatoes and saffron Second Fillet of umbrine with cream of violet potatoes flavored with cardamom and spinach Dessert Cheese Cake with melon with white chocolate flakes and hazelnut grains Caffé and Mirto As an alternative for children there is a menu with Winks pasta and Spiderman steak with fries. Cost per person 40 € – Excluding drinks. Lunch will be served at 1.00 pm Please book until August the 13th at the restaurant or by calling Guido the number. 333.24.52.200 Enjoy your meal! Enjoy the EVENTS and ANIMATION PROGRAM! Our Jparty group is in action throughout July and August and the events calendar has already started! This is our summer full of activities and fun! A rich program of activities and the special program schedule of SPECIAL GUESTS await you. 10 evenings with Special Guest during the months of July and August for our guests only. After the fantastic evenings of July, here are the events of August: Thursday 02 August magic evening with the Mago Rox Friday 10th August musical evening on the beach with Happy Days Group Thursday, August 16th musical evening, dance and show with the Black or White Thursday, August 23 show of the “Soap bubbles” with Brullas Thursday, August 30th show with the fantastic mime “Mr Cioffo” HOORAY! June full of events with the “Settimane Sarde” summer edition! 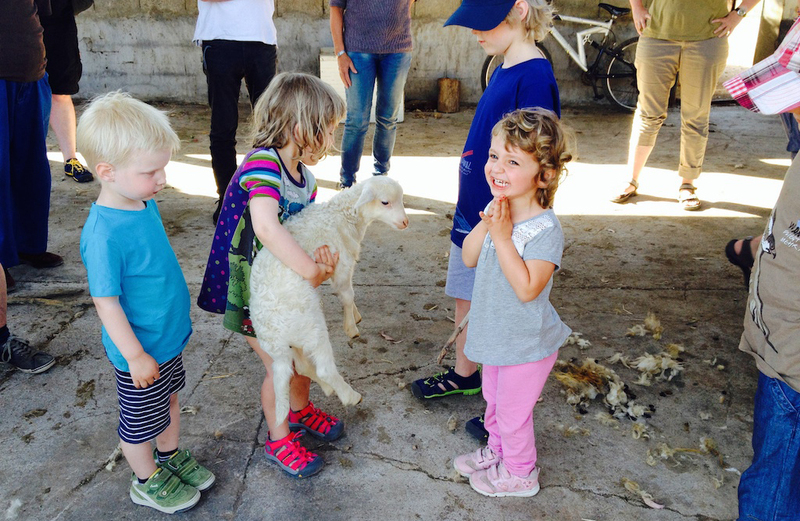 From 11th to 27th we propose the program of events: so if you missed the cooking class, or the visit to beekeeping, or the evening at the beach to see the stars, or the ride on a sailing boat, here comes the new program of June! Among the events there is always something new and original. These are your emotional and experiential vacations … Be intrigued by looking at the photo gallery. From the first edition of 2001 the proposals were really many and original. https://www.campingcapoferrato.com/en/sardinian-weeks/ We have organized the “Sardinian Weeks” specially for our guests, always looking for new experiences and curiosity about Sardinian traditions and culture! Good fun! SATURDAY 9th June WE OPEN THE BEACH SERVICE! Summer has arrived and here, staying at the beach is really beautiful! 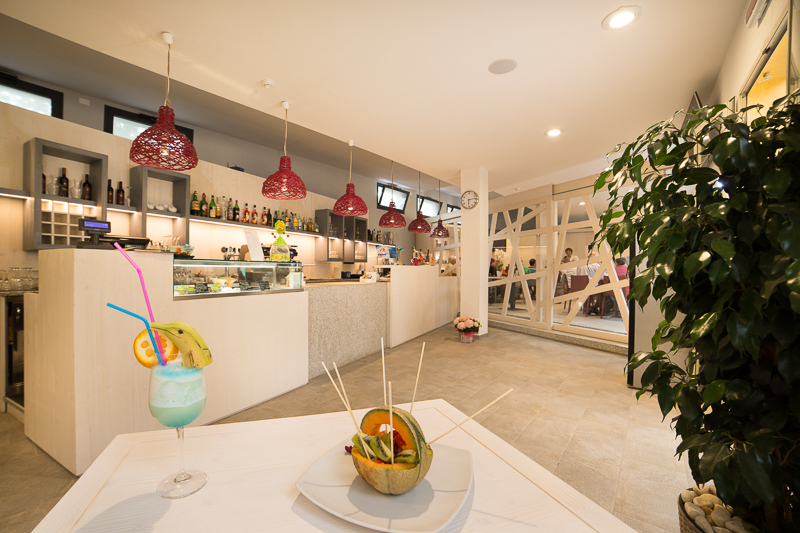 With only 30 umbrellas of natural material and colors, we really relax! … and then, with a sea like that! Even as a daily guest, take a break and book your beach umbrella, with the possibility of using all the services of the campsite! 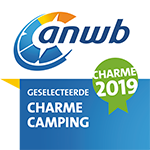 Until June 16th FREE PARKING camping for those who book the sunshade up to the availability of parking spaces! Request the promotion at the time of booking. We are waiting for you! Good …. sea! PARTICIPATE IN THE FUNNY BICYCLE OF CASTIADAS! Sunday morning the Association Castiadas Ospitale presents the 9th edition of the event “FELICI IN BICI”. It is a ride, which starts from Castiadas (10 Km.from the campsite), and winds through the streets of this particular village, made up of small villages and scattered houses. There will be two routes: the first is very simple, suitable even for children (about 14 Km.) The second of difficulty higher through the Castiadas campaigns (Km.25, height difference 600 m midium difficulty). The event also presents many initiatives: exhibition of arts and crafts, shows in the square, and then also opens the Museum of the Old Prisons with guided tours. In this link you will find the program of the event http://www.castiadasospitale.it/felici-in-bici We give you the opportunity to rent bicycles in our bike center, we also have bicycles for children. For those who want to participate, but do not have the possibility to get to Castiadas, we can organize a shuttle. Information at the Reception Enjoy! FREE SHUTTLE BUS FOR OUR GUESTS to Muravera! It is one of the most beautiful traditional festivals in Sardinia and we are ready to welcome our guests too! The Sagra degli Agrumi, Citrus Festival is a great spring festival where you can see Sardinian costumes, dances, Sardinian music and also the interesting “Traccas”. The “Traccas” are beautifully decorated ox-drawn carts, representing the traditional life on the Island. Even museums and ancient houses are open to visitors. Sunday the 8th is the most important day, so we offer our guests a free bus to reach the village and watch the parade (in Muravera 25Km.). The day before, a briefing will be organized in Campsite to tell the Sagra and all the curiosities. The seats on the bus must be booked in advance (also via email info@campingcapoferrato.it). At the reception you will receive all the necessary information. Die Reise und Freizeit Messe – Wir werden anwesend sein! Patrizia ist zu Verfügung in München für die Neue- und die Stammgäste in der Stand SARDINIEN – ITALIEN Halle B5 N. 121-124, um Ihnen Auskünfte, allgemeine Infos und Reisetipps zu geben! Bitte melden Sie sich in Voraus für ein Termin patrizia@campingcapoferrato.it Bis bald! Domenica 3 settembre tutti a lanciare l’aquilone! Ancora un appuntamento con l’artista Alessia Marrocu, che questa volta insegna ai bambini e agli adulti a costruire gli aquiloni con la carta. Gli aquiloni vengono così portati in spiaggia e fatti volare! Il corso è dedicato a grandi e piccoli da 5 anni. L’appuntamento è alle 16:30 al mini club per la costruzione dell’aquilone. Ci si reca quindi in spiaggia per far volare gli aquiloni…buon divertimento!!! 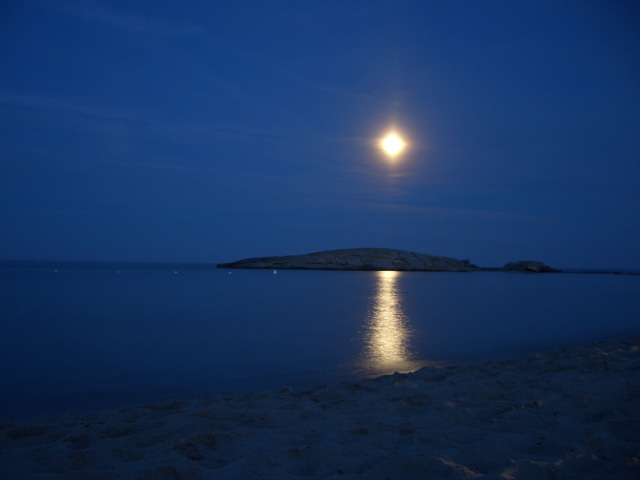 10 AGOSTO: IN SPIAGGIA UNA SUGGESTIVA SERATA CON L’ALLESTIMENTO DI LANTERNE E MUSICA LIVE Due eventi insieme per una notte magica: quella di San Lorenzo il 10 agosto. Nel pomeriggio tutti gli ospiti bambini e adulti saranno coinvolti in un laboratorio per la costruzione delle lanterne di carta, con la collaborazione dell’artista Alessia Marrocu e i nostri animatorI della JParty. Aspettiamo quindi la sera per creare un allestimento di luci sulla spiaggia. All’arrivo del buio accenderemo le lanterne per dare vita a una suggestiva scenografia con lo sfondo del mare. In questo speciale contesto ascolteremo e balleremo con la musica live del gruppo Smash Hits in una serata emozionante e romantica… Tutte le informazioni alla reception del campeggio Scaricando l’app si possono vedere in anteprima tutti gli eventi organizzati per i nostri ospiti. Terzo Special Guest per la stagione 2017. Quest’anno l’appuntamento Quiz è con Dr. Play! Telecomando in mano e pronti a rispondere ai quesiti. Spasso garantito per tutti e ogni famiglia può formarsi la sua squadra! BUBBLE EXPERIENCE, spettacolo con le bolle di sapone. Un programma di animazione originale tutto dedicato ai nostri ospiti della bassa stagione! Dal 5 giugno ripartono le “Settimane Sarde” due settimane di attività orientate alla promozione delle tradizioni, cultura, gastronomia e natura della nostra bellissima Isola e del nostro territorio. Sino al 21 giugno ogni giorno un’iniziativa differente: dal corso di cucina alla degustazione guidata dei vini, dallo snorkelling con il biologo marino, alla passeggiata in bicicletta nelle piccole aziende, dalla mostra degli artigiani al bird watching… Anche i bambini sono coinvolti in molte attività: un modo divertente per conoscere le meraviglie della Sardegna. Questa non è la solita animazione, ma una vera esperienza! 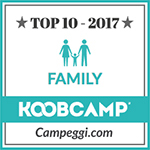 Il programma è visionabile nella pagina https://www.campingcapoferrato.com/le-settimane-sarde/ Le Settimane sarde si tengono anche nei mesi di giugno, settembre e in ottobre. 1st May for every taste! Escape from the city or off to the wonderful festival of Saint Efisio with the shuttle: making everyone happy! April 29 the restaurant opens! Some people on May 1, after having seen the wonderful festival so many times, decide to leave the city and take a break in nature and there are those, on the other hand, who using the campsite as their base want to see the procession and the beautiful Festival of Saint Efisio. 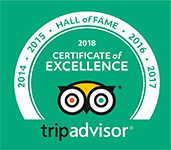 Well, we are there for both: on hand to welcome and indulge our guests on arrival, or to accompany them with the shuttle to see the exciting and beautiful day organised in honour of the patron saint of the city. 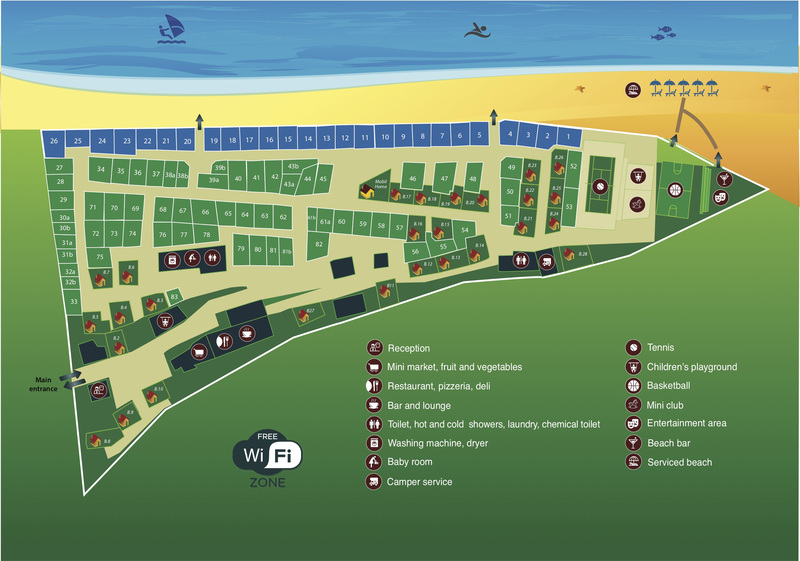 For those who are coming to the camping village, the restaurant, pizzeria and bar will also be open from April 29. The market is open already from April 14. For those who want to visit the Festival, we are organising the traditional shuttle so you can attend without any worries. Just as for the Festival of the Citrus Fruits, seats in the shuttle are limited so you have to book in advance. Sea, beach and spring air, flowers and greenery … how better to spend Easter? Children will be excited to ride their bikes as adults prepare a delicious lunch in the company of their friends and then … all off to the beach to relax! With the aim of always providing an additional service, we decided to open the camp store already from the Easter weekend, therefore fresh bread, meats and cheeses, fruits, vegetables, foodstuffs and the small bazaar will be available. Remember that our market also has gluten free products! Everyone to Muravera for the Festival of the Citrus Fruits – free shuttle from the campsite One of the most beautiful and colourful in Sardinia, this is the Muravera Festival of Citrus Fruits “Sagra degli Agrumi”! Sunday, April 2 is the most important day of the festival, because traditionally folk groups from all over the island parade, showing off their costumes and dancing in the street. Also parading are the “etnotraccas” with themes of Sardinian and local tradition. During the entire period of the event there will be shows and numerous events, and the museums will be open. Moreover, the Cortes (old houses) will be open, some of which will be home to special themed exhibitions and others will offer food specialties and tourist menus of typical local dishes. Since many visitors will be coming for the festival and because traffic will be heavy and parking spots diffiult to find, we are providing our guests with a free shuttle, to reach Muravera comfortably in the morning and return in the afternoon. Places are limited, so booking in advance is required at info@campingcapoferrato.it or by phone 070885653 (from April 1 the village offices will be open 070 991 012). CMT Stuttgart- the holiday fair in Germany: we’ll be there! 10th-12th January VAKANTIEBEURS UTRECHT NL, WE’LL BE THERE! 10th-12th January VAKANTIEBEURS UTRECHT NL We’ll take part to the Trade days on the exhibition Vakantiebeurs in Utrecht. 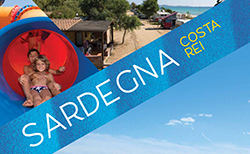 We are at your disposal for Information about our Campsite and about Sardinia on the Stand H7 Stand D121 Sardinie.info. SARDINIAN WEEK: 5 – 23 SEPTEMBER 2016 During the low season, we organize “Sardinian Weeks”: some theme-weeks with cultural and gastronomic entertainment program, local products and ethnographical display, art exhibitions, folk group shows, botanical tours and entertainment with original and funny activities for children. Every year programs are different, to offer always something new and original! The 2016 edition will be developed in the months of May, June, October and September. Come back here to stay updated on the next edition! Tutti pazzi per i gonfiabili! VENERDÌ’ 26 AGOSTO grande serata per i bambini del campeggio: arrivano i gonfiabili! I ragazzi dell’animazione organizzeranno una serata di giochi per il divertimento di tutti. RITORNANO ” Ditta Vigliacci ” IN CAMPEGGIO! SABATO 20 AGOSTO Acrobazie, giocoleria e tanta, tanta comicità: quanto ci hanno fatto ridere gli anni scorsi! Siamo pronti ad accogliere lo special guest di questa serata che si prospetta divertentissima, già dalla locandina si capisce cosa ci aspetta…. MARTEDI’ 16 AGOSTO: SCHIUMA, SCHIUMA, SCHIUMA!!! ECCO L’EVENTO DI FERRAGOSTO! Chi l’ha detto che lo schiuma party è solo per i ragazzi? Da noi ballano tutti, grandi e bambini e si festeggia insieme! Lanciarsi nella schiuma è una sensazione da brivido, è divertentissimo, soprattutto quando si ha la garanzia di una super selezione musicale curata dal nostro special guest Dj Simon Luca Buon divertimento!